Whatever is the case whether you sell the washing powders or wiper blades, you require a keen understanding of your customer, especially if your motive is to maximize the amount of sales. What is the purpose of your sale? Who are you selling to? What is there in your product that your customer must go for it? 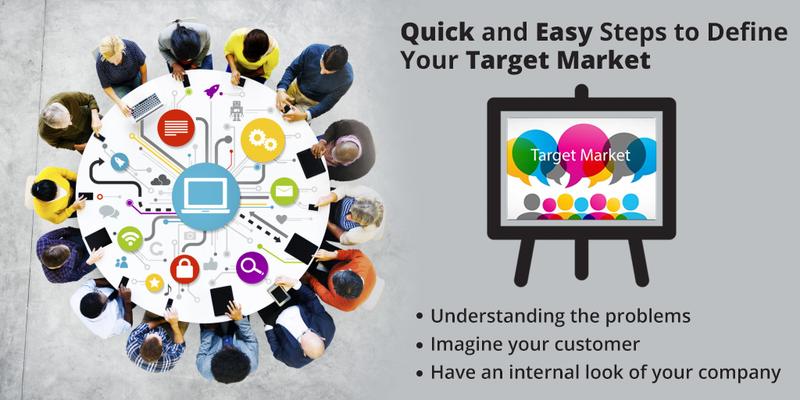 All these questions must strike your mind to identify your real target customer. During the course of defining the target market the first step is to properly understand the problem that needs to be solved. The basic step to start with is figuring out group who will encounter these problems. Make a list of different categories of the customers who suffer from the problem that you are trying to solve. Once you’re done with making the categories start grouping them according to the location, market sector for example are they recruitment, manufacturers etc. Also, collect some basic knowledge about these customers like whether they married? Do they like playing tennis, are they females or males? Try to find out the answers to as many relevant as you can. 3. Who will cherish the gain from the value you present in your offer? For whom these problems are unavoidable? Who is most likely to suffer a loss when not seriously dealing with these problems? If you can show your customers that the cost of not solving these problems is much greater than the cost of actually dealing with them, here your case becomes stronger. Factors like emotional upheaval; cost efficiency etc makes your offering much valuable. One way to decide the correct market to pursue is to imagine and think keenly regarding your business and your company. Do you own any particular areas of proficiency? Do you encompass distinctive knowledge about any particular geographical area? Are you much better at getting on with some specific category of customers? All of the above factors can help you establish a much better and attractive offering. Start by working alone in any specific area. Targeting the entire country at ones won’t be a wise decision therefore it is most wise to start with a particular area. 6. Always keep the last check done. Once you are done with everything and have the answers to the questions regarding your business solutions, you must not relax. Keep on gathering the information, look what else is available and you can work on. Why I am exclusively placed to resolve the problem? It might be that for a few marketplaces there are no answers. Though, in some specific sectors or geographical locations there might be an undeniable response to all of these questions. In case you’re not able to deliver the answer to these questions, this would certainly mean that either you are targeting the wrong market or presenting a wrong offering. If this is the case, you would require conducting more deep research before you start with targeting any of your potential customers. Digital twin technology; a promising call for businesses.